I’m sure you’ve been poking about on the internet and come across many different forums. Have you noticed that everyone is talking about this mysterious thing called “film look”? I’m sure you have. The way people talk about it, it seems like making your video look like film is the holy grail. I’m sure in your mind this has raised many questions. What is film look? Do I need it and why? How do I get it? If you float around the message boards long enough…you’ll probably be really confused as to what this whole concept is about. Obviously, people are trying to make their digital video look more like film…but how….and why? Let’s talk about the “why” aspect first. Many people just assume film is better so it only makes sense to try and make your video look like film. That may be your opinion, but you can get yourself into trouble thinking this way. Many people who think film is better will do anything to make their video look like film, even if that means putting ‘dust and scratches’ effects on their video. The result of doing something like that is video that looks like it has scratches on top of it. The real reason to strive to make video look like film is because audiences are used to the look of film when watching a movie. If your movie is shot on video, people will notice that the movie looks different than what they are used to seeing. That’s not necessarily a bad thing. Video has a look of realism and if you are trying to portray a gritty realistic story then video great. However, if you are trying to portray a mystical fantasy world, video could be distracting to your audience. Ultimately though, you have to shoot with what you have. So rather than strive to make your video look like film, make it your goal to make the best possible looking image for the medium you are shooting. That being said, lets discuss some of the differences between video and film, how to compensate for them, and when you should just leave things alone. 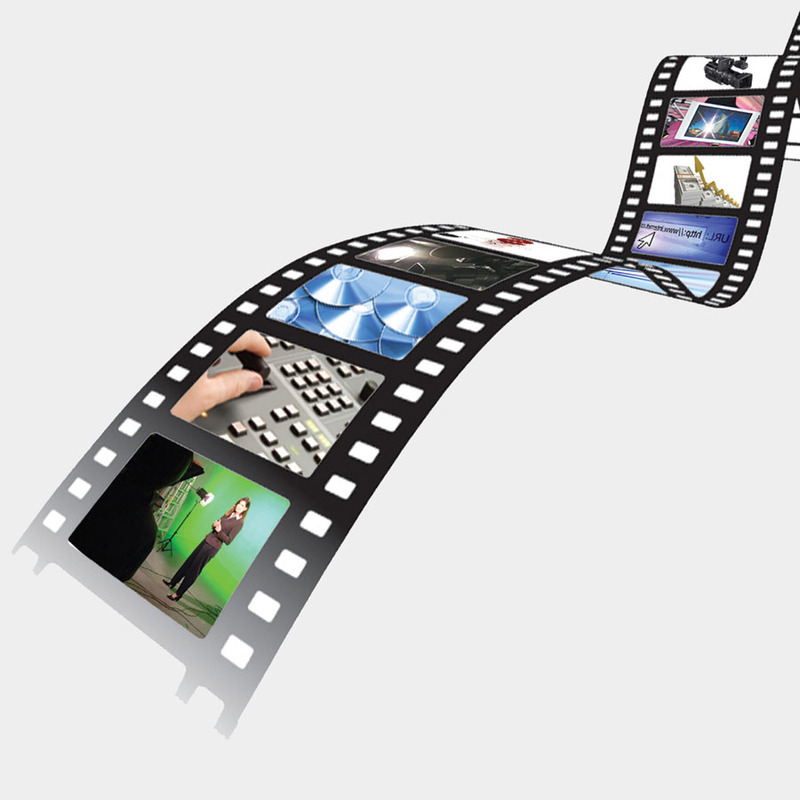 There are a variety of components that make film look different than digital video. * How to compensate – This is probably the hardest thing to overcome when working with video. In some very expensive cameras you can do somethings to slightly improve this…but that is a subject way to complex for this article. Instead, the best thing you can do is to prevent this limitation from distracting your audience. The number one distraction caused by this is blown out highlights..aka the white sky. You should try to do everything you can to avoid blown out highlights. You do this by exposing for the brightest thing in the scene. Outdoors, this could cause your subject to become very dark, so its a good idea to have a big reflector to bounce light onto your subject. Or block out some of the suns light with what is called a butterfly scrim. Here is a great tutorial on how to build a scrim. * When in doubt underexpose – That statement probably sends chills down the spine of a professional cinematographer because it sounds like such bad advice. However, rarely do I see a single shot that seems so underexposed that some post production treatments can’t save them. Shots that are too bright, however, are very difficult to treat. 2. Gamma Curve – Film reacts in a non linear fashion to light, while video is completely linear. If you want a good (but very technical) explanation of that, check out this wikipedia article. But all you need to know is that film colors look different because of this, and there is very little you can do about it. However, some of the higher end prosumer and professional camcorders actually have gamma correction features which help it to mimic the look of film. 3. Noise – Video CCDs produce noise due to the way it picks up light as well as the way it digitizes the image. You can’t completely eliminate noise, but you can minimize it by keeping your camera’s electronic gain settings at their minimum. 4. Dust and Scratches – Since film is a physical thing, dust and scratches can easily end up on the film negative. Alot of people get so into the ‘film look’ thing that they think this is important to add to their video. Don’t be stupid. There is no reason to purposefully degrade your image. This is the one area that digital has a significant advantage over film, so be happy and keep it the way it is. * 35mm adapters – There is an entire industry now of 35mm adapters. These are devices that allow you to put a 35mm lens on the front of the a device, which then is projected to an intermediate screen which your digital camera focuses on. These can be a bit pricey and difficult to work with, but they are a bargain compared to shooting with film. Here is a trailer for a short film, Wide Asleep, that we shot with a 35mm adapter. The shots look beautiful, but I can tell you from experience these devices are often quite a bit of trouble to use. There isn’t a whole lot more to it than that. But remember, the idea isn’t to make people think that your movie was shot on film. Honestly….who cares? Your goal should be to make the best film possible, using the techniques and tools available.